R.S. Mendelsohn hits the ball, as he and 2 [possibly 3?] 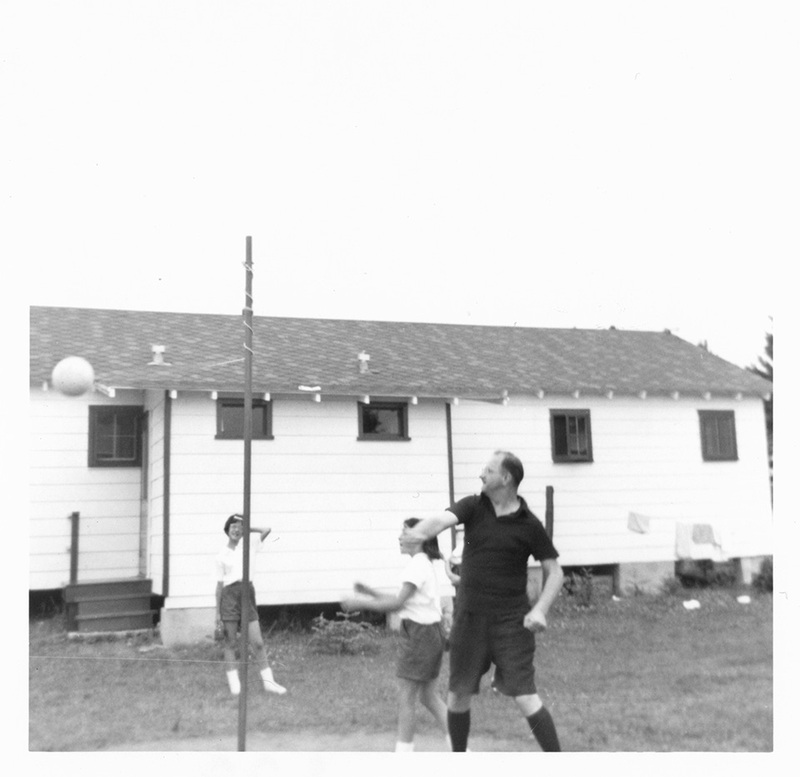 girls play tetherball at Camp Marimeta in Eagle River, Wisconsin (where R.S. Mendelsohn was doctor from 1956-1967).